BluePrint is a member of the Centre for Window and Cladding Technology. A joint venture between the University of Bath and industry, it is dedicated to the advancement of all aspects of the building envelope and glazing. Its activities include training, research, publishing, conferences, consultancy and advice. 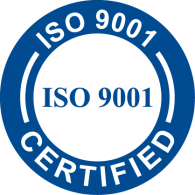 BluePrint achieved ISO 9001 accreditation in 1999 in recognition of our achievement of quality management systems in all aspects of our business.